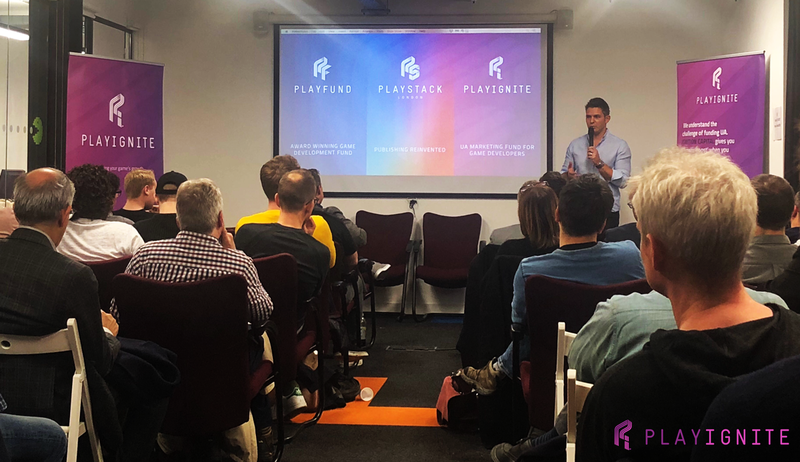 Last night we held our second PlayIgnite event – themed “Funding your Launch in 2019”, and it really flew by! We’d even go as far as saying it went smoothly. Thanks to everyone who came along for the evening – we wanted the focus to be on igniting your business, and that was at the centre of all of the content. We passionately believe that funding options in the gaming industry are under appreciated and deserve more air time. So that’s why we teamed up with the brilliant guys at Ukie, to present some of the best financial experts in the industry to you. A huge thanks to our brilliant partners, NLP, Player One, LVP, Oxford Capital and PlayFund. We would love to hold these events more often, but we know that in reality, a game studio has to juggle a lot of (strategic) balls at the same time, so we will just try to raise awareness and speak to as many of you as possible, to see where we can help. For those of you that couldn’t make it, here is a quick wrap of the key themes and takeaways. First up, we heard from Chris Bain from Player One, who has a wealth of experience from years at Xbox. Taking a studio from just a vision, to building a strategy, to finally executing on the plan, is a big part of anyone’s business plan, and something PlayerOne specialises in. How do you turn your plan in to reality? What’s the vision and what are the steps to get there? All things that must be addressed, but rarely are. Next was ourselves, the PlayIgnite team. We are here to help your scale your marketing efforts, and deal with the cash flow bumps along the road. If you need financing for tax credits, advance payments from digital stores, or want a boost to your UA campaigns, please get in touch. The new, and exciting, news from us is that we plan to have UA services to offer to studios in the new year, and soon our very own PULSE technology will be available so you can see how we look at your LTV and ROI through our lens. VGTR is a subject that, if you’re a UK studio, you absolutely MUST be on top of. Only 345 studios claimed VGTR from the HMRC last year, which is under 20% of UK studios! NLP spoke to us about how it works, what you could be leaving on the table and the process behind it. It is worth spending time looking at this – we’re constantly shocked at how few people are in top of just how much money they could claim back from the HMRC. Finally, we had our expert VC panel, consisting of Harvey Elliot from PlayFund, Harry Hamer from Oxford Capital and Jon Bellamy from LVP. It’s very hard getting in front of VCs for equity investment, so this panel was incredibly valuable for everyone in the audience. Again, the theme of planning, and building a proper business, came up. It’s important to think about the commercial upside of launching your game; who is your target audience, what is your edge and what will make you a huge success. A big emphasis was also placed on the team, and how important that is from an investment standpoint. In summary, we know the fun bit about building a studio, is designing, creating, playing and launching a game, but funding has to be a big focus. We hope, with our great partners, to raise awareness and help studios realise there are plenty of options available to them.